Twelve charities are to share the £3,300 raised from this year’s Crosspool Open Gardens on Saturday 3 July. The annual event, which is co-ordinated by members of Stephen Hill Methodist Church, ran this year as part of the Crosspool Festival programme. There were 15 gardens around the neighbourhood to explore, including allotments off Back Lane, two adjoining houses on Cairns Road and the Den Bank Close garden featuring a model railway. One Manchester Road garden also accommodated an art sale, plus a book signing by local historian and author Judith Hanson. Plentiful supplies of tea and cake were also available at most of the gardens. 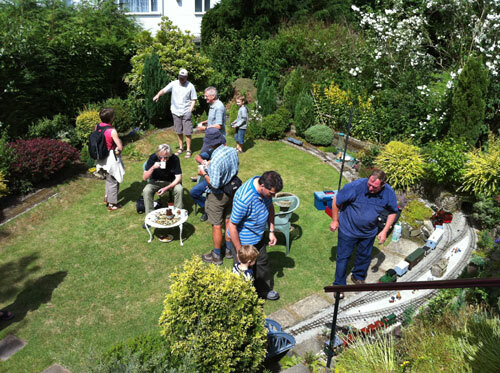 Open Gardens started as a fundraising event for the church’s development appeal but has now been extended to support charities nominated by the owner of each of the showcased gardens. This entry was posted in crosspool, crosspool festival 2010, events, food, gardening, photos, sheffield and tagged back lane, cairns road, crosspool, crosspool festival, crosspool open gardens, den bank close, fundraising, judith hanson, manchester road, stephen hill methodist church. Bookmark the permalink.